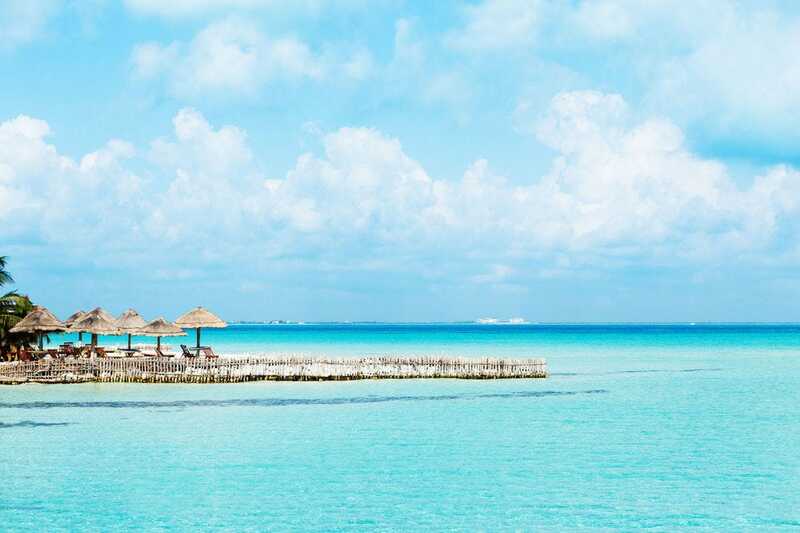 Cancun is known for its all-inclusive resorts, unparalleled nightlife, shopping and dining, but this world-class vacation destination just might be best known for its 14 miles of dreamy white sand beach. Cancun and the area to the south, the Riviera Maya, is home to some 150 miles of beach. It is important for visitors to always pay attention to flags on the beach, which indicate water conditions. A black flag is the highest warning level meaning do not swim. A red flag indicates dangerous conditions; swim with caution. A yellow flag means there is no immediate danger, but still use caution while swimming. A green flag means that it's safe to swim. Some more remote beaches may not have flags, so it's especially important to swim with caution in those areas. 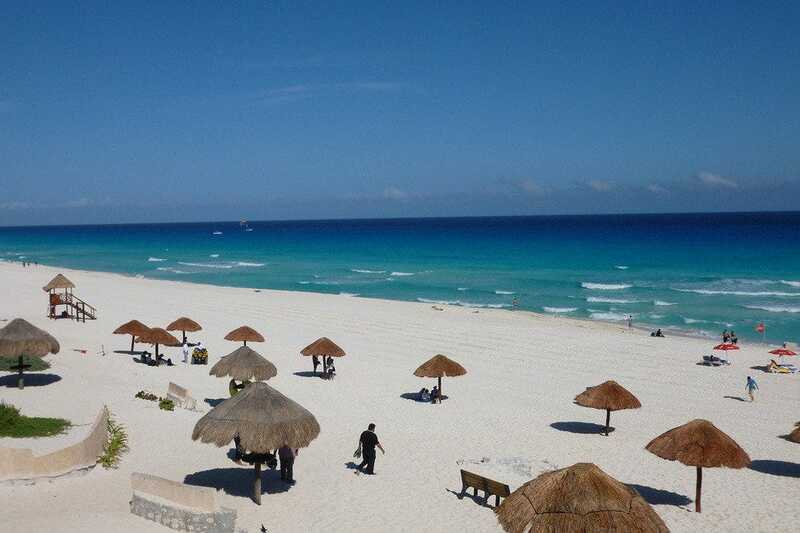 The best beach in Cancun's Hotel Zone is undoubtedly Playa Delfines (Dolphin Beach), which is located at kilometer 20. This public beach is the only one in the "HoZo" that isn't home to any hotels or restaurants. 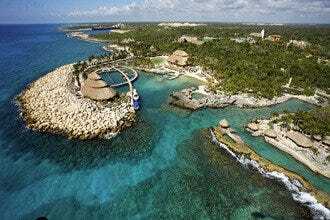 There are also marvelous beaches in Tulum, Playa del Carmen, Puerto Morelos, Isla Mujeres and the Riviera Maya. 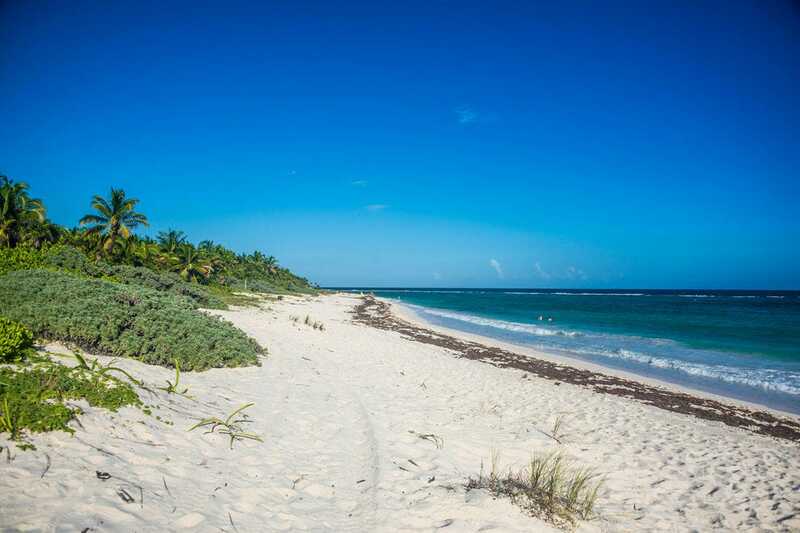 True virgin beaches can be found in the Sian Ka'an Biosphere Reserve. Oh, and Cancun's beaches are made of white coral and will never heat up or burn your feet, so leave those flip-flops by the pool. 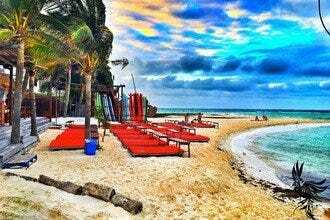 Puerto Morelos Beach is a small fishing village/resort town located just 20 minutes south of Cancun. 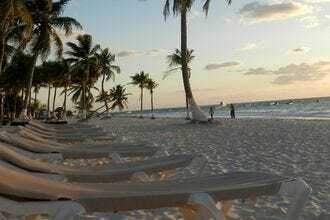 There is something about its laid-back atmosphere that makes Puerto Morelos an ideal place to relax and unwind. 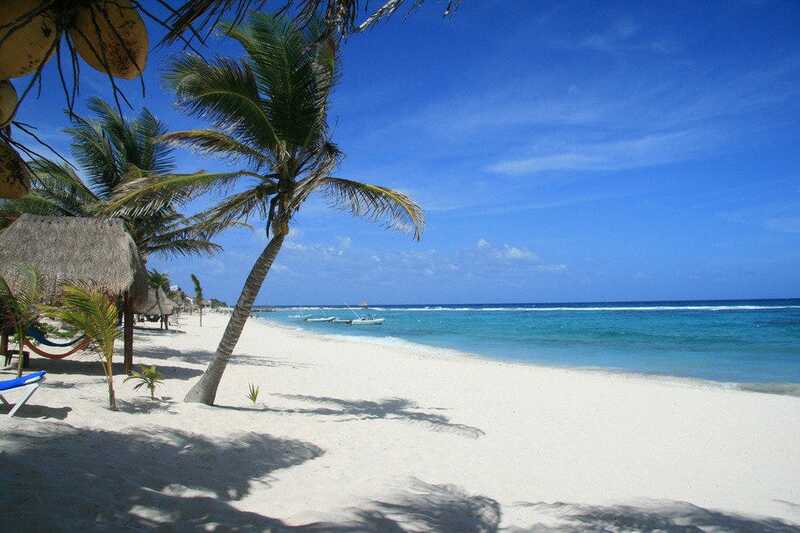 The town is home to a very wide white sand beach on the Caribbean Sea. Spend the day at a beach club or hire a guide and snorkel the spectacular Mesoamerican Barrier Reef, which is just offshore. Generally speaking, the beach here is never crowded and beachgoers are a mix of locals and tourists. Take a walk on the dock downtown and check out the leaning lighthouse which was blown over (but not knocked down) by Hurricane Beulah in 1967. X'cacel Beach is a white sand virgin beach; paradise found. On any given day, you'll find few tourists or even locals here. To find it, you'll have to look for the sign on highway 307 between Chemuyil and Xel-Ha. A small donation is required as the beach runs a sea turtle conservation program. 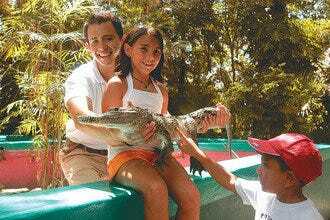 The donation not only gives you access to the breathtaking beach, but to a lovely freshwater cenote (natural sinkhole). The snorkeling is good right off the beach at X'cacel. Take everything you'll require for the day, as there are not any restaurants or stores within close proximity. A favorite for both locals and tourists alike, Xpu-Ha Beach (pronounced Shpu-Ha) is an escape from the hustle and bustle of Cancun and Playa del Carmen. 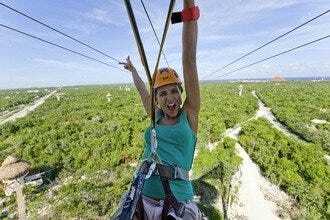 Located south of Puerto Aventuras, you'll be stopped at the entrance by a family and a rope and asked to pay a small entrance fee, which will be returned to you at the end of the day if you spend a few pesos at La Playa Xpu-Ha Restaurant & Beach Club. The white sand beach is located in a cove, so the water is a little calmer, which is nice for families with small children. 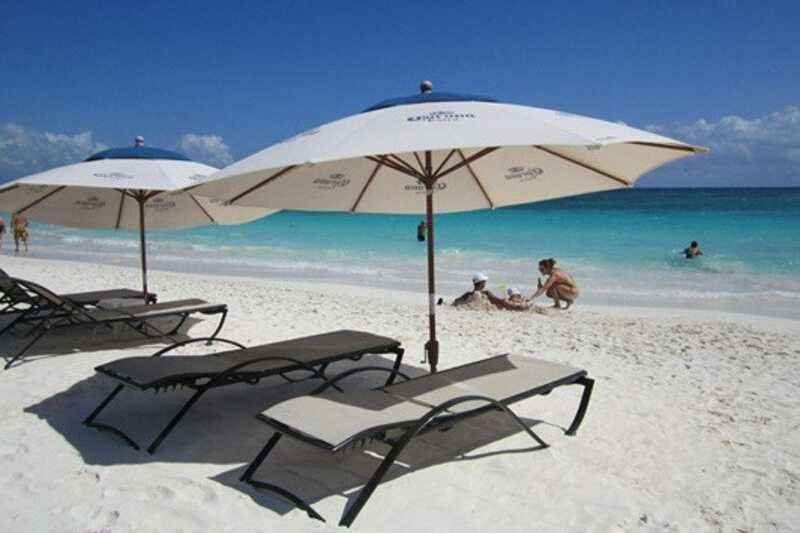 Umbrellas and lounge chairs can be rented at La Playa Xpu-Ha and they feature live music on Sunday afternoons. Akumal is a small beachfront town located about 60 miles south of Cancun between Playa del Carmen and Tulum. Akumal means "place of the turtles" in Maya. Visitors can snorkel off Akumal Beach just a few yards into Akumal Bay and witness sea turtles snacking on sea grass. (It is important to note that snorkelers should never touch or disturb the turtles.) During nesting season (late April to October), female adult turtles lay eggs on the beach at night. During hatching season (June to November), baby turtles instinctively make their way back to the sea. Akumal was officially founded in 1958 as a scuba diving community. Playa Maroma (Maroma Beach), located at around km 55 of the Cancun-Chetumal Highway in the Riviera Maya is considered by many to be one of the best beaches in the world due to its size, the incredible blue color of the water and amazing snorkeling right off shore. 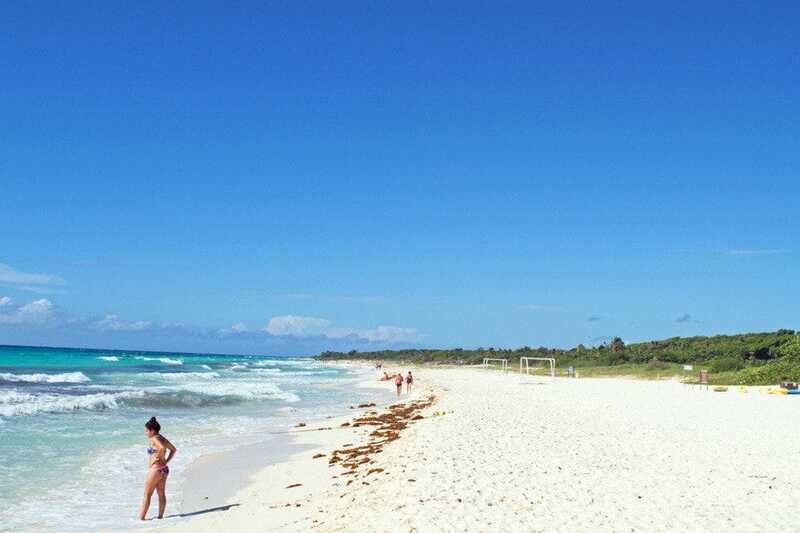 The southernmost part of the beach, Punta Maroma (Maroma Point), is a great place to snorkel from. 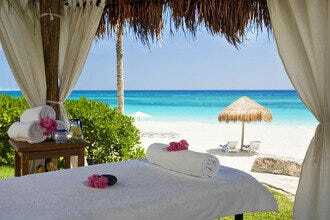 Access to Playa Maroma is available through the resorts located on the beach like the Catalonia Playa Maroma, Secrets Maroma Beach Rivera Cancun or Maroma Resort and Spa (you must be a guest of these resorts) or through the Riviera Maya Beach Club (Maroma Adventures). If you're looking for spectacular virgin beaches, look no further than the Sian Ka'an Biosphere Reserve, a UNESCO World Heritage Site located south of Tulum. It includes more than a million acres, numerous habitats and 23 archaeological sites, some of which date back 2300 years. There are very few beaches here with "parking lots." 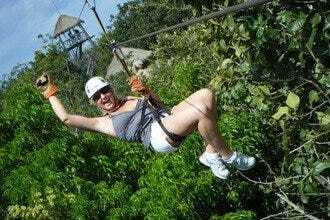 Access to most beaches is through an opening in the jungle. To see more of the astounding beauty of the area, take a tour or arrange a fishing trip. If you'd like to spend more time here, there are small hotels and homes available for rent. Playa del Carmen, affectionately referred to as "Playa" by locals, is a funky cosmopolitan beach town located an hour south of Cancun. The beach, lined with endless boutique hotels and beach clubs is undeniably beautiful, but if one heads just a bit south to gated community Playacar, they'll find secluded beaches that are practically empty. Visitors may bring their own umbrellas, towels, drinks and snacks, or purchase a day pass at one of the resorts located in Playacar Beach. 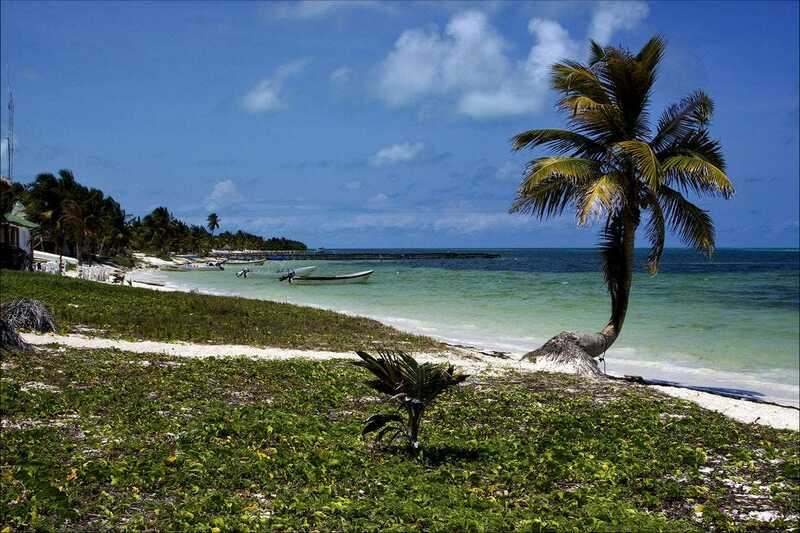 This quiet haven is very popular with kite boarders and is also home to two small Mayan ruins sites. Isla Mujeres (Island of Women) is a small tropical island paradise located just off the coast of Cancun. Playa Norte (North Beach) is the stuff that beach vacation dreams are made of. The view: white sand and the aqua-blue Caribbean. There are many beach clubs along Playa Norte where visitors can rent lounge chairs and umbrellas for the day and order all the ceviche, margaritas and cervezas that their hearts desire. The ocean at Playa Norte Isla Mujeres is quite calm due to the fact that the beach faces the coast of Cancun and is not exposed to the open ocean. 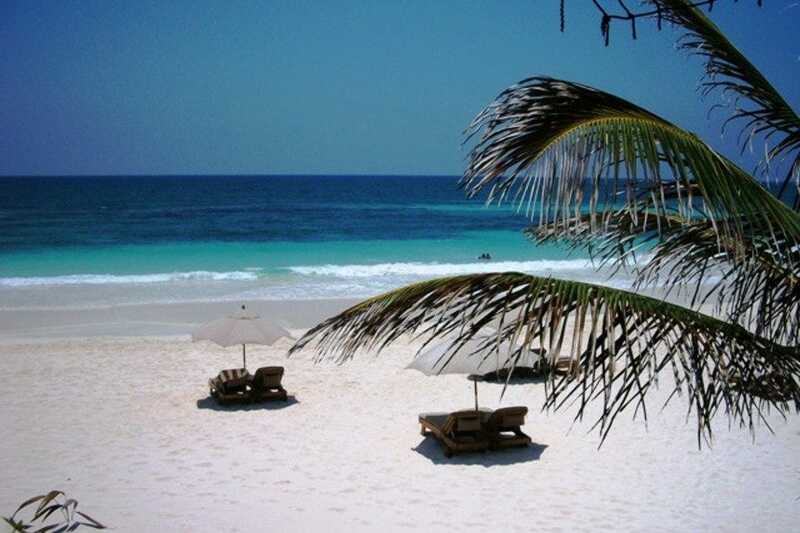 Tulum is a lazy bohemian beach town about 80 miles south of Cancun's busy Hotel Zone. New York fashionistas and Hollywood stars have discovered the beauty and charm of Tulum, but it's still commonplace to be one of the few people on the beach in many areas. The "Hotel Zone" is nothing like Cancun's; the high-rise, all-inclusive resorts are replaced by cabanas and open-air eateries. The white sand beach is wide, dotted with swaying palms and goes on for miles. The turquoise Carribbean sparkles in the hot sun. Tulum Beach is a paradise right out of the movies. 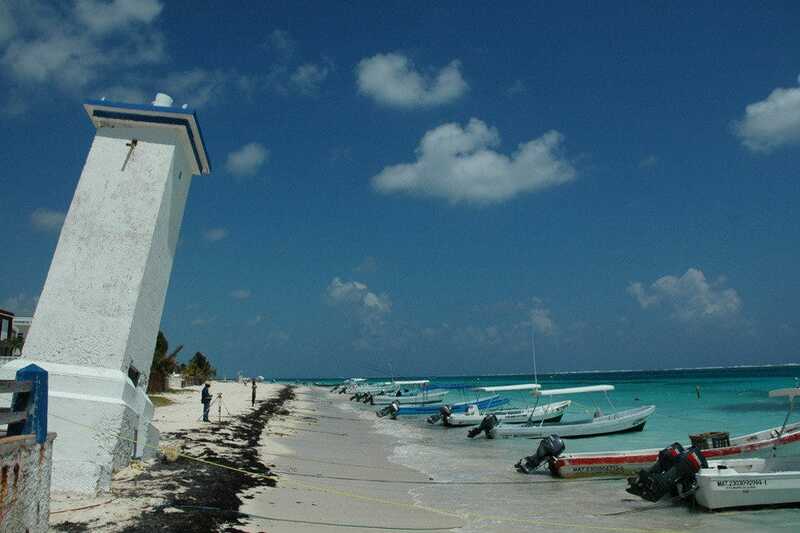 Playa Delfines (Dolphin Beach), also known as El Mirador (The Lookout), is located at km. 20 in the Hotel Zone. Most of the 14 miles of beach in Cancun are absolutely beautiful, but what makes Playa Delfines exceptional is the fact that there are no hotels, restaurants or anything else built on this beach. It is easily accessible by bus and there is free parking available should you choose to drive. 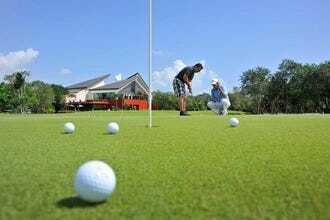 There are also clean, well-maintained restrooms available, a playground and palapas for shade, and chairs and umbrellas for rent. There are lifeguards, but the water can be very rough here so swim with extreme caution.